Greek born fashion icon Demetrios James Elias discovered his talent and passion for design while he assisting his parents in their family-owned bridal store in Warren, Ohio. In the year 1980, he realized his dream of owning his own company and acquired Ilissa Bridals of New York City. 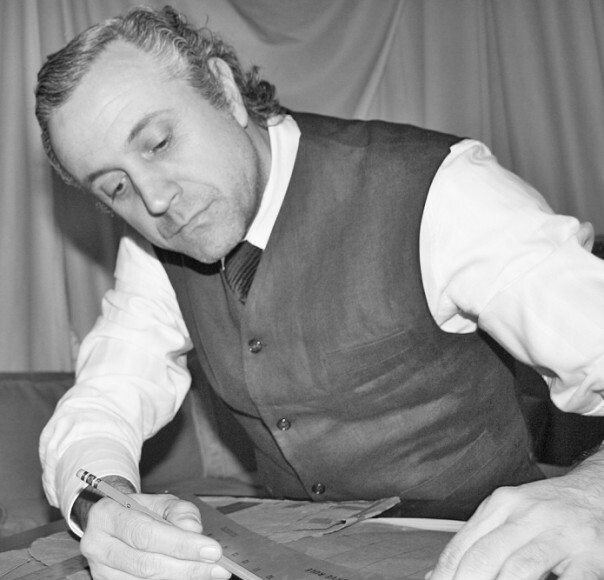 In a very short time he would turn the company into a successful internationally renowned company – one which we all know today as Demetrios. Celebrity Style Weddings You’re one of the world’s most prominent, prestigious, and iconic bridal designers. How did you end up in your profession? Demetrios I developed a strong passion for design while working in my mother’s bridal shop in Warren, Ohio. I had the privilege of meeting and working with many brides to be and helping them select the gown of their dreams. My passion for design came from the desire to make this dream a reality for all future brides. In 1980 I had the opportunity to purchase a small company called Ilissa bridals. I have always had a modern vision of style and sophistication. Owning my own company made it possible for me to create a collection that would cater to the more modern bride at a time when most bridal gowns were very traditional. I created different divisions within the company that consisted of unique designs and allowed me to expand my collections. CSW If you had not become a bridal designer, what might you have done? D Prior to working in my mother’s salon, I was considering a career in medicine, but I quickly realized that designing and creating something beautiful had become my passion and my inspiration to pursue a career in the Bridal industry. CSW You design and offer more than just one bridal collection. 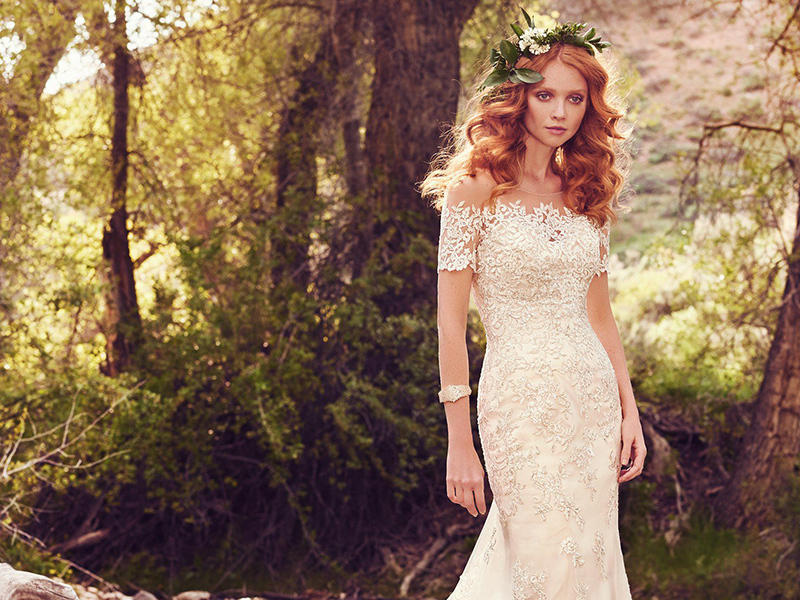 With you, brides have an endless amount of dress options. There really is something here for every bride. What makes each collection so unique and different from the others? D The beauty of having multiple collections is that they give me the platform to create designs that cater to every bride no matter what her style may be. 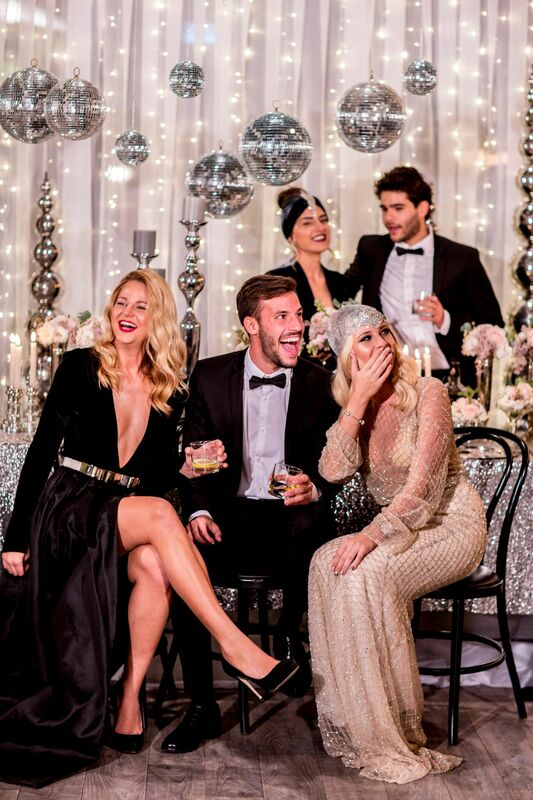 The Demetrios Collections offer brides gowns that feature modern detailing while still maintaining traditional features of a classic look with my signature touches, the highest standard of quality and the finest fit. Each one of my collections consists of unique styles featuring different fabrics, textures and laces. 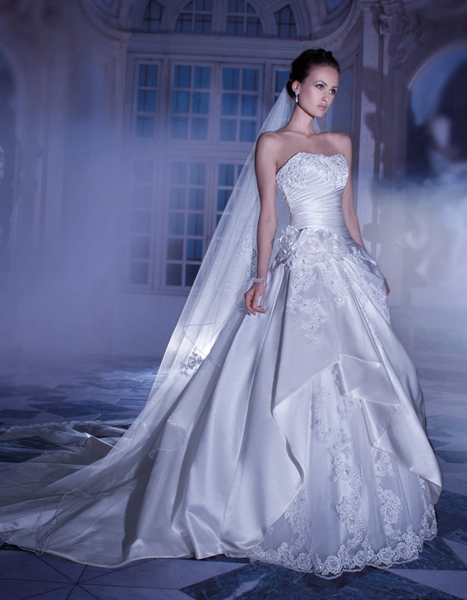 CSW How is your 2014 Bridal Collection different from what you’ve done in seasons past? D For 2014, I have incorporated capes and peplums in new fabrics, beading and laces to my designs. The collection also consists of dramatic backs and unique necklines and skirts in various silhouettes with delicate treatments like pleating ruching, ruffles and bustles. CSW Who is the Demetrios Bride? 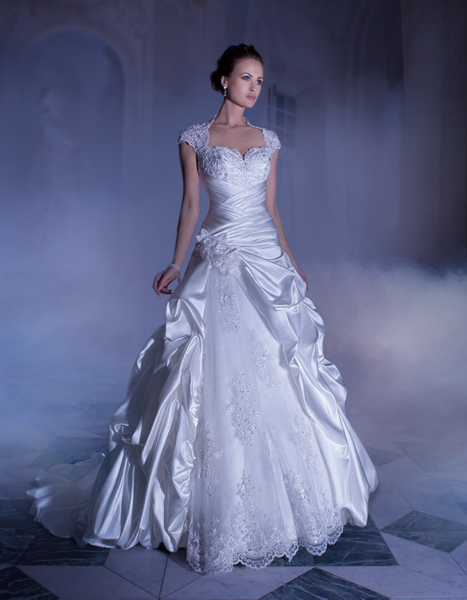 Do you envision any particular bride when you design your collections? D The Demetrios bride is the bride that has envisioned from a little girl what she would look like on her wedding day. I create all my designs with this essence in mind. Each Demetrios design is as unique as the personalities of the brides that will walk down the aisle with them. 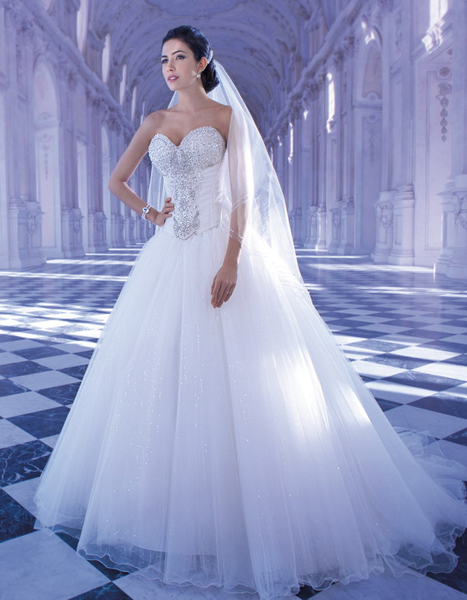 CSW Brides come to you for the fairytale look they’ve been dreaming of all their lives. You’ve dressed thousands of blushing brides over the course of your career. What do like about dressing them? D Through my travels, I have had the pleasure of meeting many women that have worn my designs, each one with her own unique style and personality. It gives me great pleasure knowing that I have created looks for each and every one of them. CSW The bridal industry is constantly changing. You’ve been in this business for a long time and surely have noticed some changes. What has been the biggest change you’ve seen in the bridal industry since you started? D The bridal industry has transformed In many ways throughout the years. Who would have thought in 1980 that strapless gowns would become the most sought after styles? It isn’t just the trends that have changed. The bride herself has changed. Many women today get married a lot older than they did years ago. They are a lot more sophisticated and know exactly what they are looking for. 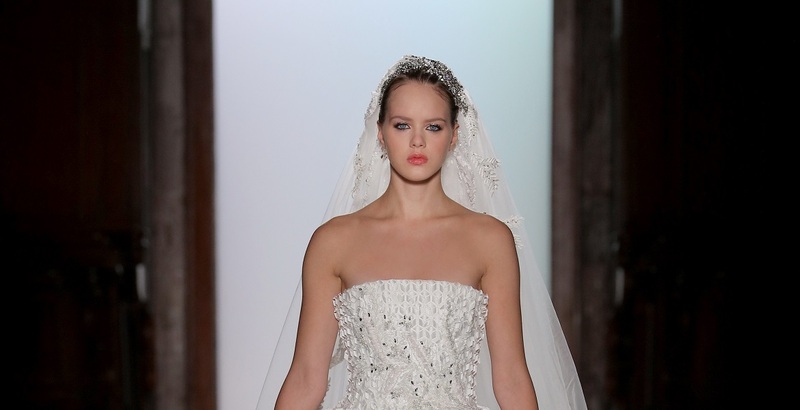 CSW What is your favorite bridal look right now? D I cannot say that I have a particular favorite look. I take pride in each design I create, each one with its own unique style and beauty. CSW What do you think makes a bride unforgettable? D The most important thing that makes a bride unforgettable is the smile she has on her face while walking down the aisle and how happy she is knowing that she looks just as she had dreamt she would. 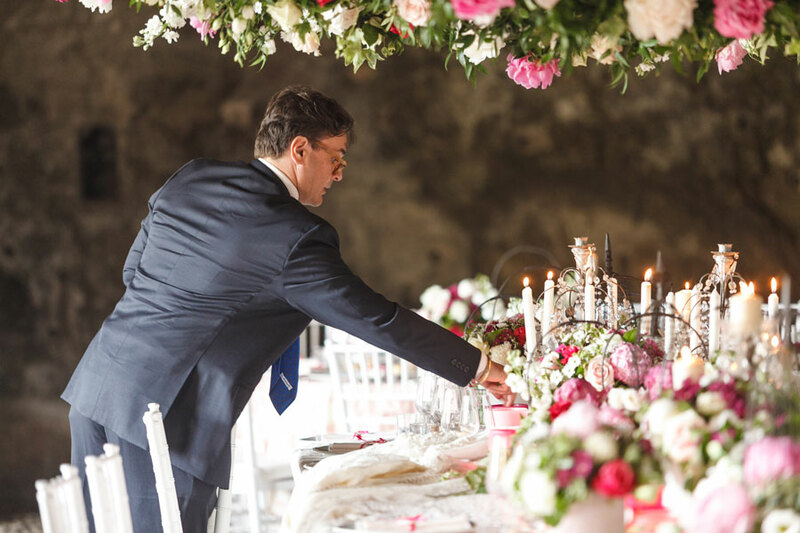 CSW Brides often seek inspiration from real weddings and celebrity weddings. Do you have a favorite celebrity wedding of all time? D My favorite celebrity wedding was the wedding of Prince William and Kate Middleton. It was truly your fairytale wedding. 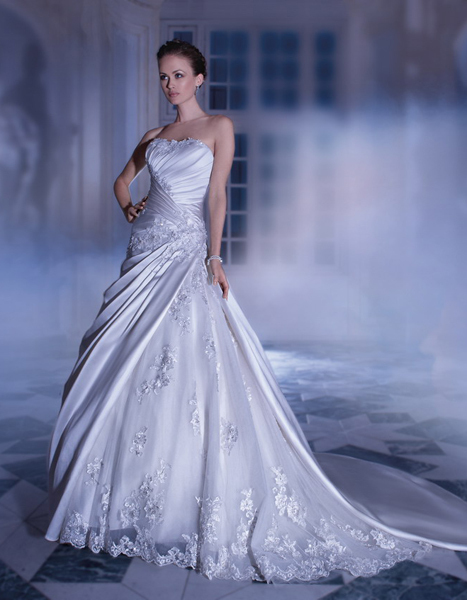 It reminded us of the beauty of the traditional wedding gown and was the inspiration of many of the new designs that year. CSW Who would you say was the best celebrity bride ever? D I am often asked who my favorite celebrity bride was, and my answer is always the same…Grace Kelly. I have always believed that the late princess was the epitome of glamour and style.